We specialise in eco-friendly water based screen printing. We print by hand and are committed to producing high quality products with a close attention to detail. We work closely with our clients from concept right through to the finished article. Clients include Chiharu Shiota, Guerrilla Girls, Artsy, Google, Zalando, Nina Kraviz and Wikimedia. We have also printed for venues and events including Art Brussels, Berlin Fashion Week, AWS Summit, The NY Art Book Fair, Whitechapel Gallery and Bikini Berlin. Click the links below to find out more about the specific screen options we offer. We offer a bag printing service using eco-friendly inks in 1 to 4 colours and in batches of 30 to 1000+ . 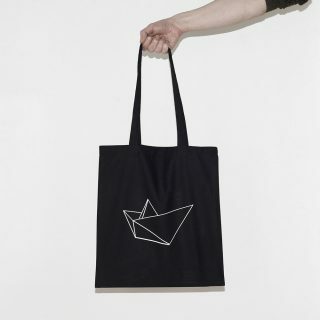 We print on a range of cotton, organic cotton and recycled bags. Long sleeve, short sleeve and no sleeves in regular or organic cotton, recycled polycotton mix or bamboo. All ethically sourced and printed by hand with your artwork, illustrations or company logo. If you want you can supply your own T-shirts and we will print on them for you. We print on a range of sustainable and recycled packaging for creatives and small businesses. Including but not limited to paper bags, branded product boxes, mailer boxes and jewellery display cards. Made with sustainably sourced or recycled paper and card. 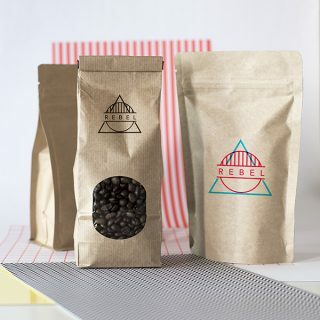 We also customise coffee bags and pouches suitable for dry foods, tea, powders, soaps and cosmetics. Personalised branded aprons, tea towels and other workwear and catering wear for cafes, bars, restaurants, streetfood vendors or just as a gift. In a selection of fabrics including organic, polycotton and denim. If you have a conference coming up in Berlin or are taking part in an event or tradeshow here, we can take care of all your promotional printing needs. From flyers to brochures, lanyards and ID Cards. 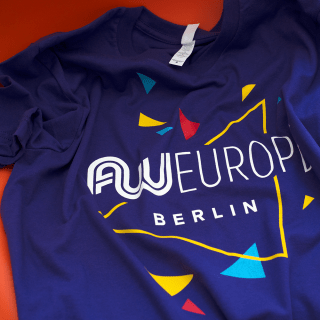 We will manage all of your printing and deliver direct to any venue in Berlin, ready for you to unpack when you arrive. If you want something a bit special we also offer hand screen printed stationery in a selection of ink finishes. We print on paper and card up to 50cm x 70cm in small to medium editions and can also print on other substrates such as wood, mirror, acrylic, canvas and other boards. If there is a particular material that you would like to print on just let us know and we will see what we can do. We are always delighted to work on more unusual projects. Personalised hand printed and hand bound spiral notebooks. These are great to promote your brand, cover with your illustrations or to give as gifts. Sizes from A6 to A4. If there is anything else that you would like screen printed that we haven’t listed here just send us a message and we will see what we can do.